Many youths in Kenya are turning to online platforms to make money. How to make money, precisely, decent income is a puzzle to many. In this article we shall take you through steps to take in order to start making a living through various known online platforms. There are over 20 ways of generating income,but we shall discuss the authentic ones. Over the past 7 years I have been blogging,I have seen so may platforms promising youths quick money,but few have lived up to their promises. Platforms like Aims Global,Public Likes and Capital Mult will promise you heaven but deliver hell.due to naivity,people end up losing their hard earned cash.Recently,one of my friends lost a cool Ksh500,000 to Capital Mult,which is scamming many Kenyans without mercy. Social media influencer is someone who has massive online following and active social media accounts. These individuals have built their social media accounts through popular posts, content that generates lots of reactions. Due to their influence, companies approach them for marketing. In return, the influencers make money. Examples of social media influencers in Kenya include Robert Alai, Cyprian Nyakundi, Caroline Mutoko,Njugush and a host of other celebrities. If you are up to the task, build your social media accounts—advertisers will come. If you become a social media influencer and manage over 1 million Facebook likes, you’ll make up to Ksh500,000 per month.Most celebrities I know charge Ksh 50,000 per single video—they mostly advertise through videos. Another genuine way of making decent income online is through creating original YouTube videos. YouTube is a product of Google and it pays content creators through adverts. The adverts are obtained once an individual signs up for Google AdSense. If you are capable of creating excellent videos, create a YouTube account and upload the videos. Then apply for Google AdSense approval. Online writing, commonly referred to as academic writing is currently feeding over 1,000 youths. This work is intensive but the earnings are good. In Kenya, the average income you can make from online writing is Ksh80,000 per month. I personally know a couple of men who make up to Ksh700,000 per month. But the work is so much that you will miss your social work. Affiliate marketing is what most bloggers who don’t manage to secure Google AdSense account shift their energy to. Affiliate marketing involves marketing company products to earn commission from the sales.If you’re a good online marketer, you can make upwards of Ksh500,000 per month.Personally,I do affiliate marketing and I found it to be more profitable than AdSense. My full time work is affiliate marketing. Affiliate marketing isn’t an easy task, it needs someone with excellent marketing skills-which is why majority of Kenyan bloggers prefer AdSense. The last part of this article involves blogging.In Kenya 85% of people who make money online do blogging. Blogging involves sharing your opinion on a website you have control in or being contracted to guest-blog on other sites. Once you decide to become a blogger,the first thing is to register a domain name that starts with www. A domain name that ends with .co.ke can be registered at Kenya Web Experts or any established hosting companies in Kenya. 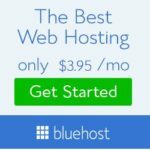 If you wish to own a blog ending with.com,I encourage you to register it at Bluehost.The first step is to create an account with Bluehost through this link,then engage one of the company’s staff in a online chat,where you will be directed on how to pay for hosting.After paying for hosting, you will be required to come up with a website.I understand it’s difficult to create a website on your own; contact us through +254722927138 for web design. That explains how to earn money online in Kenya.If you wish to know how to gain more traffic,we are free to help you.